INDUSTRY.co.id - Jakarta – Crypto - exchange service from South Korea, Coinone Indonesia, was officially launched in Indonesia on August 23, 2018. To welcome the launch, in August this Coinone Indonesia will add two major coins to the exchange service, namely ETH and ETC. There are a total of 8 types of coin market, after previously Coinone Indonesia has also listed BTC, BCH, LTC, QTUM, XRP. In the future, every month 1-2 new coins will be opened. In addition, Coinone Indonesia has prepared special events that make it easy for novice users and professional traders to trade digital assets. Some highlights of the Coinone Indonesia event, including, IDR 10,000 bonus for new account holders, 0% withdrawal fee for all users, millions of rupiah prize event ranking for users who have won the highest total profit, and affiliate programs with 2x commission bonuses for users invite his friend to join. "Now that it has been proven that investors can trade safely in Coinone, we want to earnestly start exploring the market and start our services," explained Alan Song as CEO of Coinone Indonesia. At first glance about Coinone, Coinone was founded in 2014 by a world-class white hacker who won the International Cyber ​​Security Competition Award, so of course in terms of service security is no doubt. Over the past five years, Coin One has been operating in South Korea and has become a top 3 exchange. 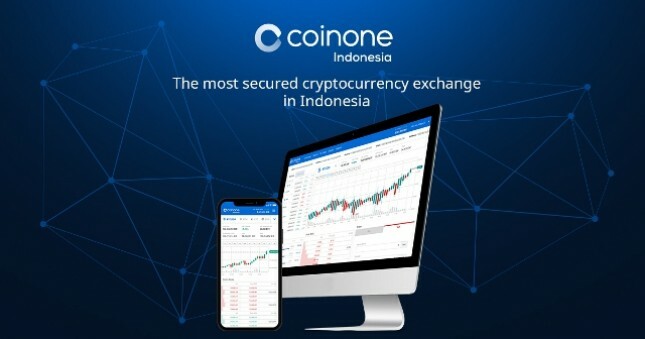 Coinone hopes that in Indonesia Coinone Indonesia can become The Gateway of Blockchain, including for Indonesian people who want to know the concept of crypto and blockchain through a convenient and safe service platform.